UAE foreign minister says crisis between Qatar and gulf states, Egypt will not be solved soon due to Qatar's support for terror. Anwar Gargash, United Arab Emirates State Minister for Foreign Affairs, published an article in which he asserted that the crisis with Qatar cannot conclude soon, as Qatar still supports terror. The article was written by Gargash in the Saudi daily Al-Hayat and titled "Qatar - a year of shattered dreams." In the article, translated and disseminated by MEMRI, Gargash argued that the crisis with Qatar was not created ex nihilo but crystallized after years in which Qatar acted opportunistically to consolidate its regional status while undermining the security of the region, undermining the stability of its neighbors and violating the agreements with them. He said that today, a year after the crisis, there is no hope of resolving the crisis in the foreseeable future, because Qatar, despite its isolation and despite the harm caused to it by the crisis, has not changed its ways and continues to support terrorism and extremism and undermine regional stability. Gargash reiterated that the crisis will be solved only after Qatar changes its conduct on these matters. He said that even if Qatar did commit to doing so, it would be required to present guarantees, since the Gulf states have no confidence in the Qatari leadership. "Today, one year after [the outbreak of] the crisis with Qatar, we understand that the main factors that led to the crisis still persist, and that they cannot be dealt with without addressing Qatar's support of extremism and terror and unless Qatar stops harming others. 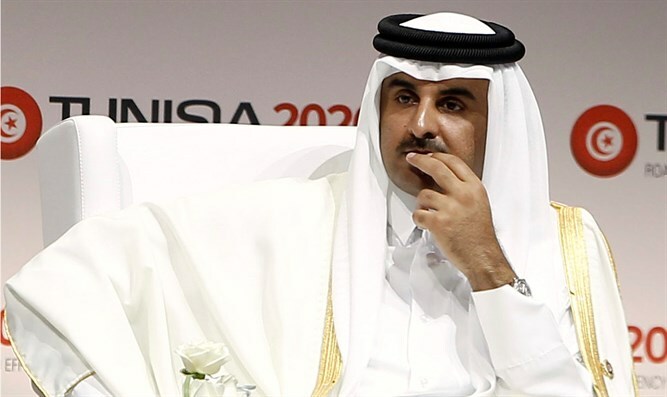 But experience teaches us that the solution requires guarantees, for we have no faith in the Qatari leadership, especially after the 2013-2014 [Qatar crisis] and considering the wrangling and deception that characterized Qatar's handling of the crisis over the past year,” he wrote. MEMRI noted that just over a year ago, Saudi Arabia, the United Arab Emirates, Egypt and Bahrain announced that they were severing ties with Qatar, claiming that it supported Iran and various terrorist organizations and sought to undermine the stability of various Arab countries. These four countries imposed a comprehensive diplomatic and economic embargo, which was expressed by the severance of diplomatic relations and the closure of airspace and land crossings between the countries. In addition, they presented Qatar with a list of 13 demands it must fulfill in order to restore relations with them, including severing ties with Iran and the Muslim Brotherhood, ending cooperation with Turkey, closing the Al-Jazeera channel and halting the financing of terrorism. Qatar, for its part, rejected these demands on the grounds that they violated its sovereignty. At the same time, in the past year, Qatar has tightened ties with Iran and Turkey in order to overcome the economic difficulties caused by the crisis and has worked to increase its cooperation with the United States.